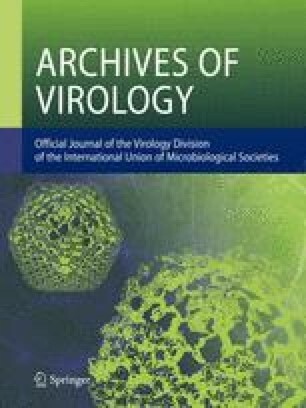 Arboviruses of the Tete group (Tete, Bahig, Matruh, Tsuruse) were previously recorded only from avian blood and organs from South Africa, Egypt, Italy, and Japan. We report Bahig virus, identified by complement-fixation and neutralization teats, from 2 subspecies ofHyalomma marginatum (family Ixodidae) ticks. One isolate was from larvae of the African subspecies,H. marginatum rufipes Koch, parasitizing a northward-migrating common wheatear,Oenanthe oenanthe subsp., in Egypt. Other isolates were from transovarially-infected F1 larvae and nymphs reared from an engorged female of the Eurasian subspecies,H. m. marginatum Koch, taken from a race horse near Naples, Italy. Transovarial transmission is relatively rarely documented among arboviruses. BothH. marginatum subspecies have already been implicated as vectors of pathogens causing serious human diseases in Eurasia and Africa. The present findings indicate the need for field and laboratory investigations of Tete group epidemiology and factors possibly involving human infections. From Research Projects MF12.524.009-3021B, MR041.09.01-0037A 6GI, and MF51.524.009-3010B F 61, Bureau of Medicine and Surgery, Department of the Navy, Washington, D.C. The opinions and assertions contained herein are the private ones of the authors and are not to be construed as official or as reflecting the views of the Department of the Navy or of the naval service at large. This study was supported in part by Agreement 03-005-1 between the National Institutes of Health (NIAID) and NAMRU-3.